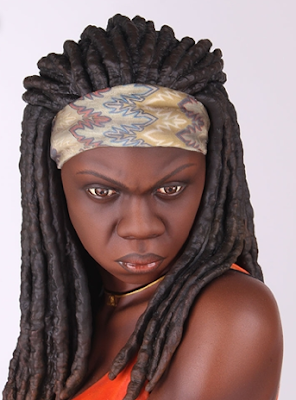 Some people wilt under pressure. 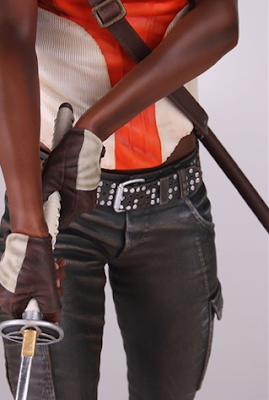 Others thrive under it. 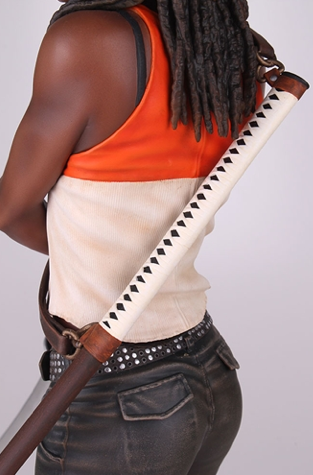 Michonne, the katana-wielding warrior, is one of the latter. Unflinching in the face of danger, alive or dead, Michonne has proven herself to be an incredibly valuable member many times over of Rick’s ragtag group of survivors. 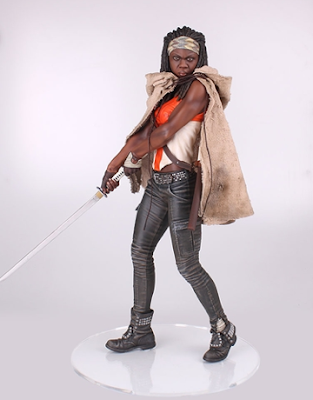 Gentle Giant Ltd. is proud to continue their Walking Dead line with the dramatic Michonne statue! 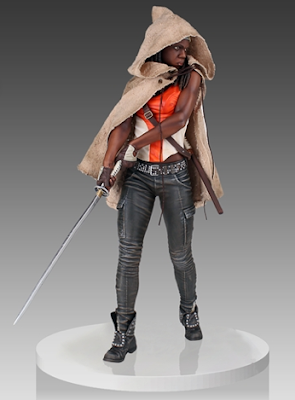 Digitally sculpted by their master artisans, no other Walking Dead collectable can claim this level of accuracy. Featuring a real fabric cloak and metal sword blade, each limited edition 18” mixed media statue is hand-painted and comes individually numbered with a matching certificate of authenticity. Gentle Giant continues their amazing details to the newest addition to their The Walking Dead line with this amazing Michonne statue. 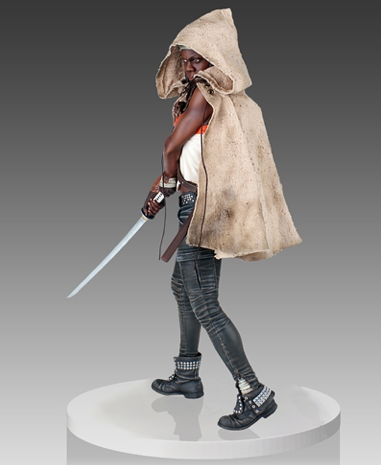 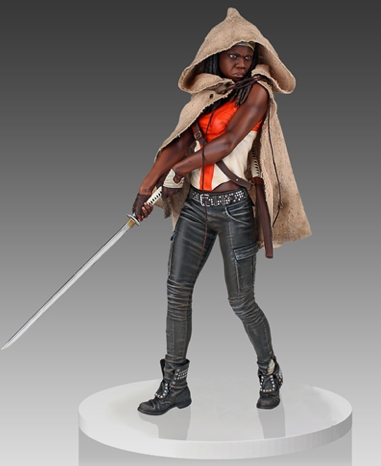 The Walking Dead Michonne statue is now available for Pre-order at Gentle Giant!